Flying through the Banning Pass you come across hundreds of wind turbines. 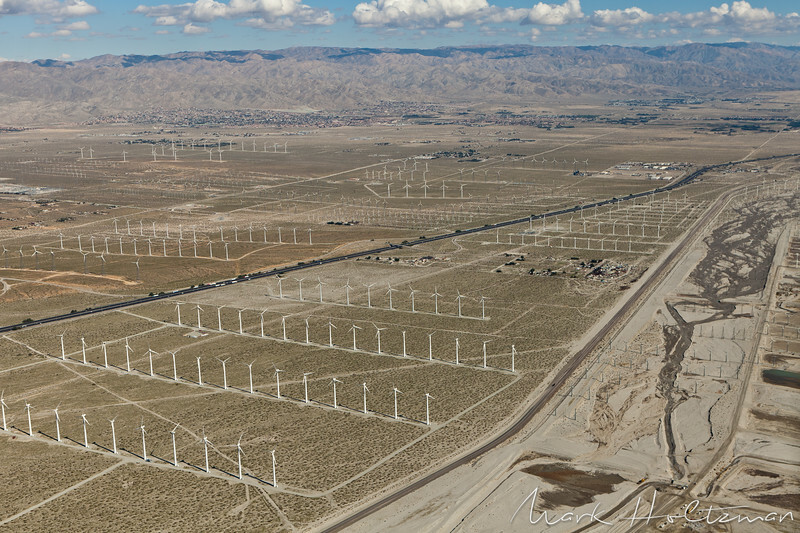 The Banning Pass is know for it's high winds, which is a perfect place for wind farms. These rows of turbines remind me of a marching band standing in the middle of a football stadium. Desert Hot Springs is the city in the background and Palm Springs is out of view just to the right.